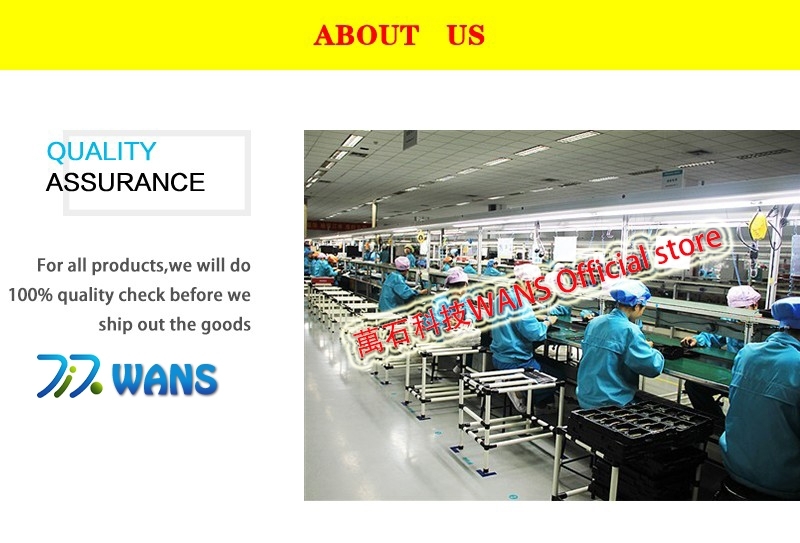 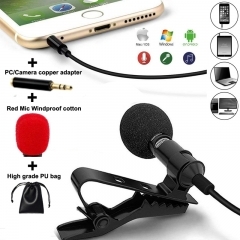 Sold by WANS , Shipped by Oversea(takes 10~25 workdays) . 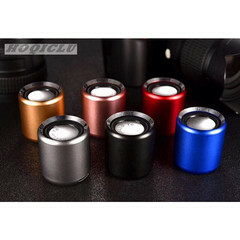 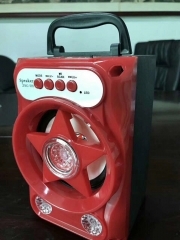 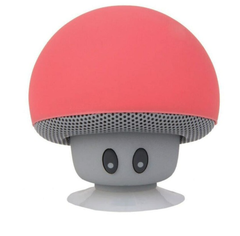 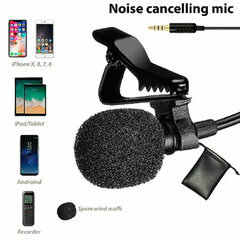 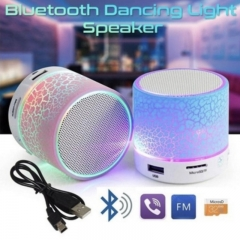 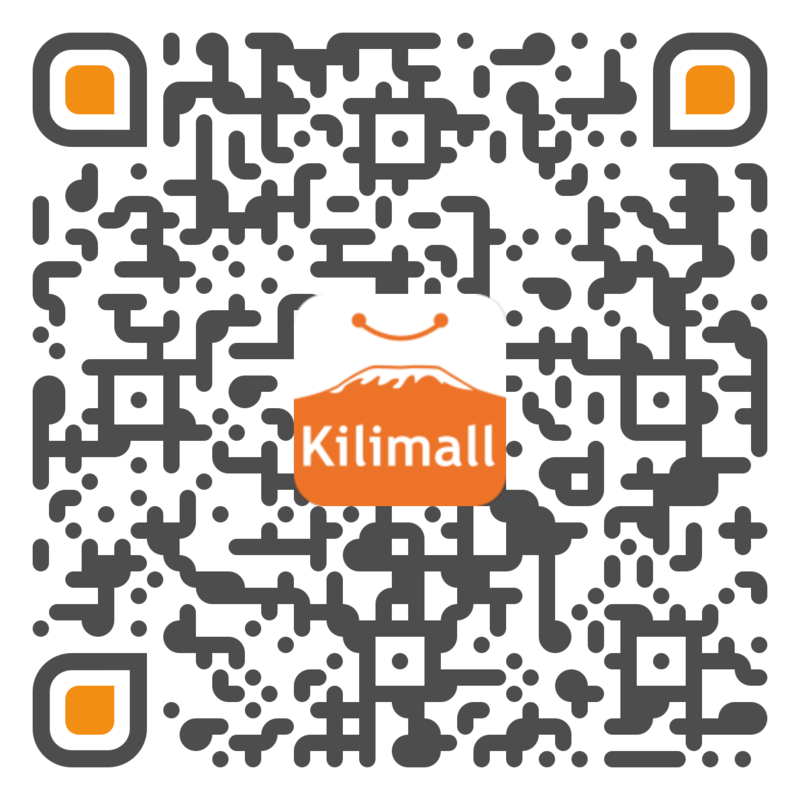 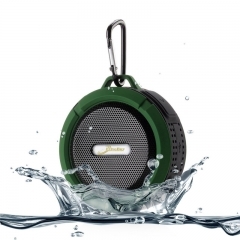 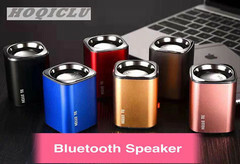 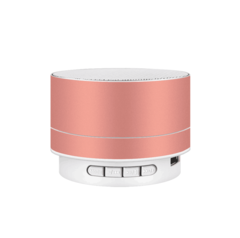 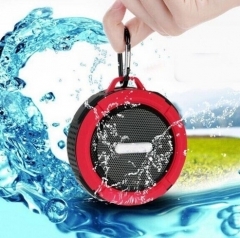 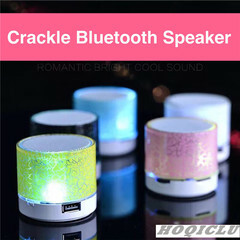 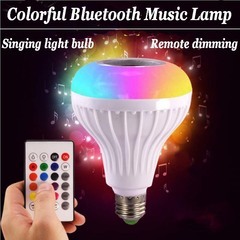 Can be controlled via smart phone or tablet by connecting the Bluetooth, then you could use it play your favorite music and relax yourself. 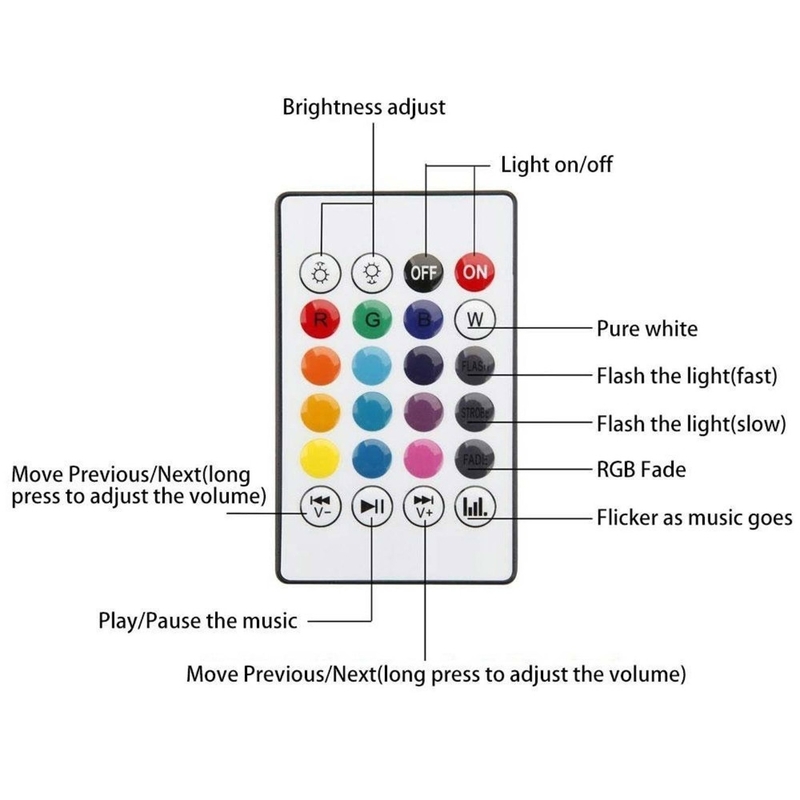 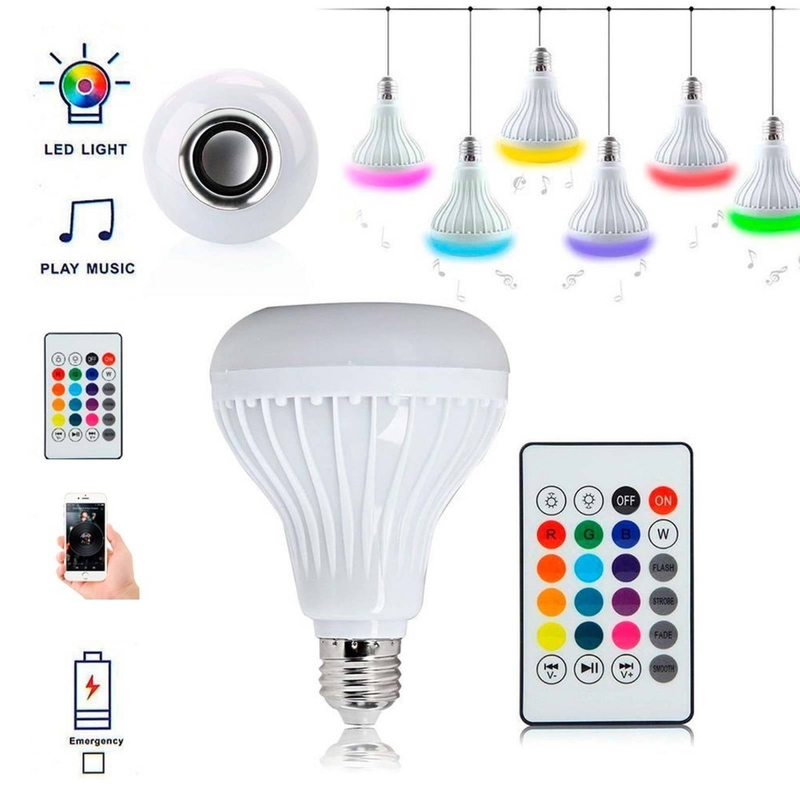 You could use the included 24 keys remote control to change RGB colors and different modes of our led bulb, very easy to operate. 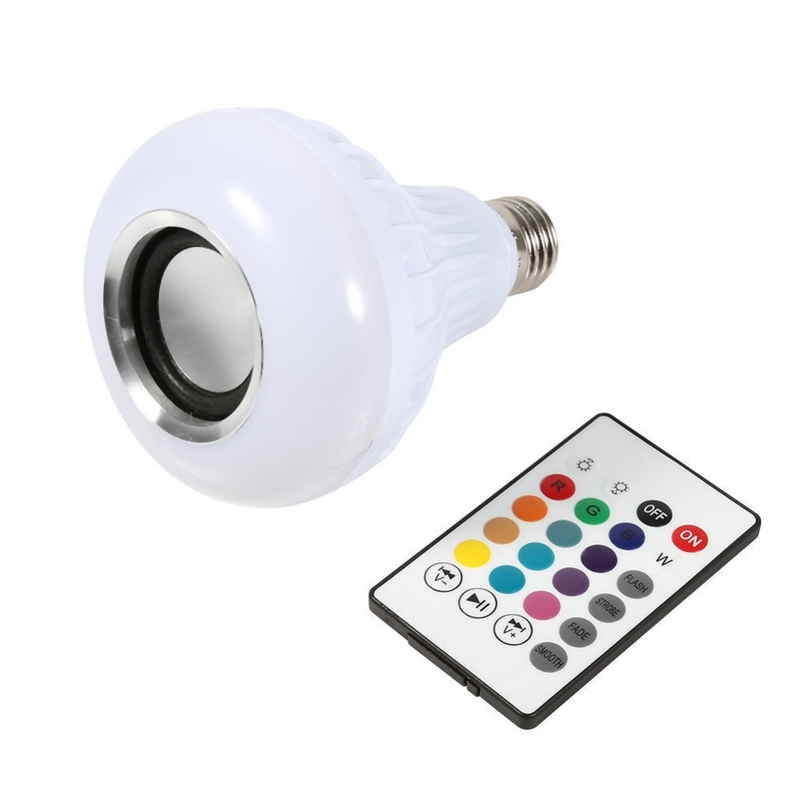 Our Led bulb is designed to fit standard E27 socket, very easy to install. 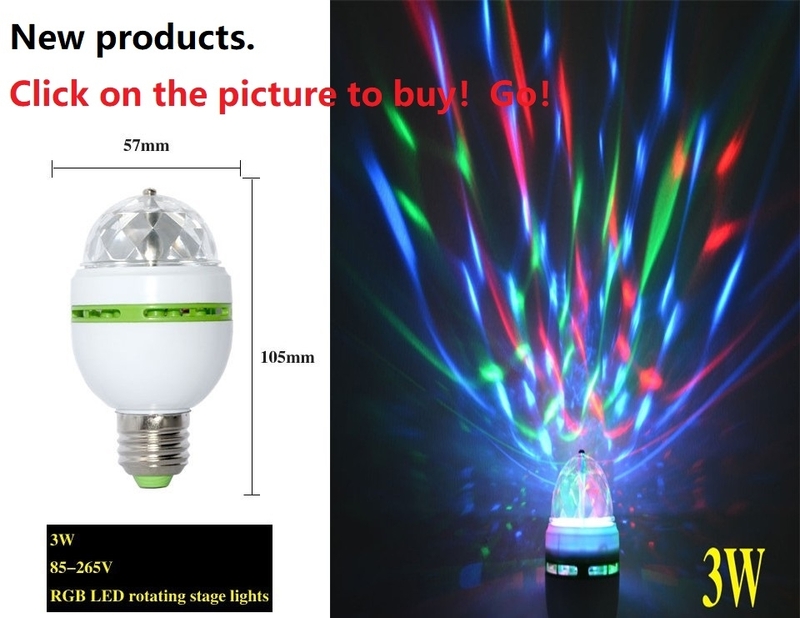 Excellent quality, creative and fashionable design, environmental protection, low power consumption and long service life. 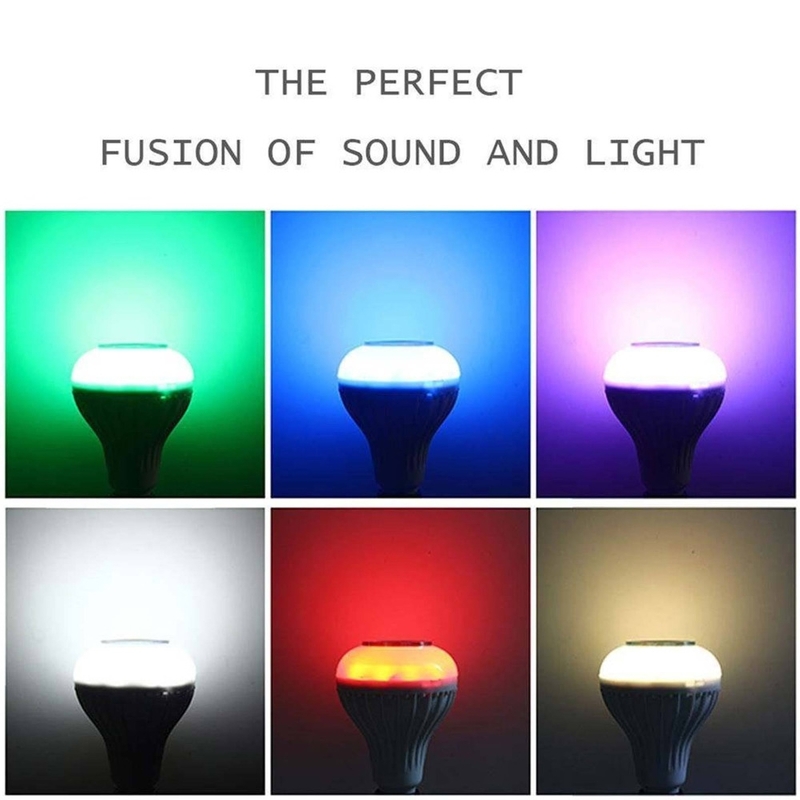 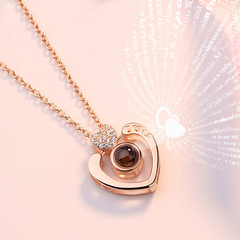 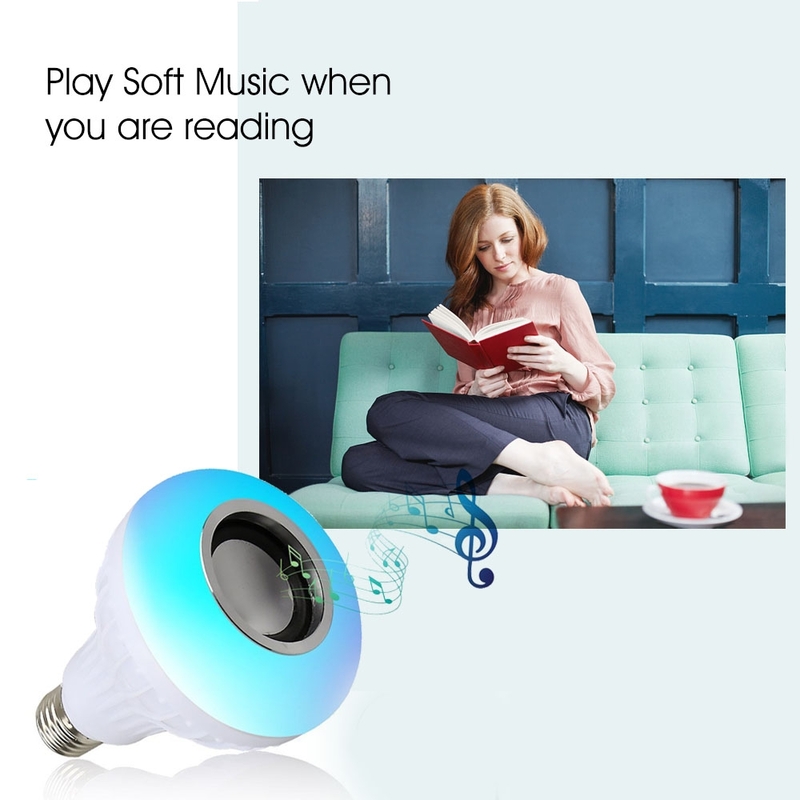 Soft and colored light and beautiful music, giving you a wonderful life. 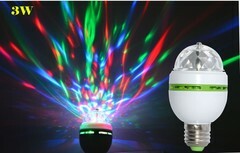 Perfect for using in the your bedroom, closet, cabinet, corridor, workshop, basement, garage, roof and so on. 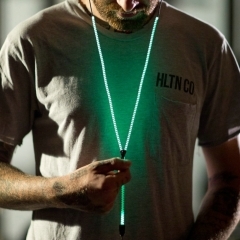 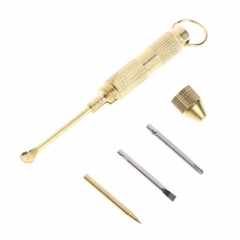 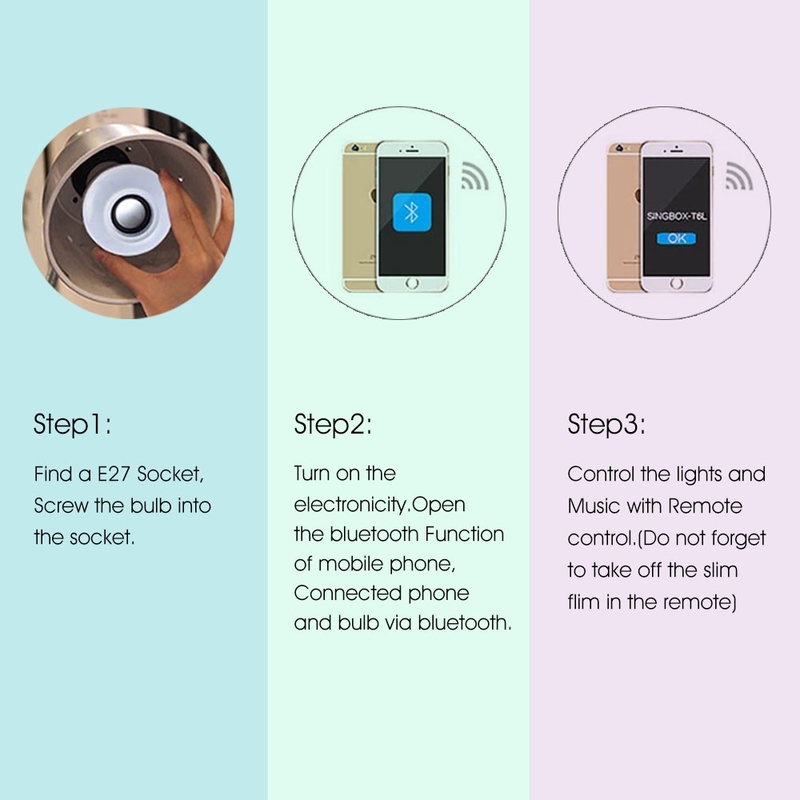 Apply this bulb to the E27 base and then light up it. 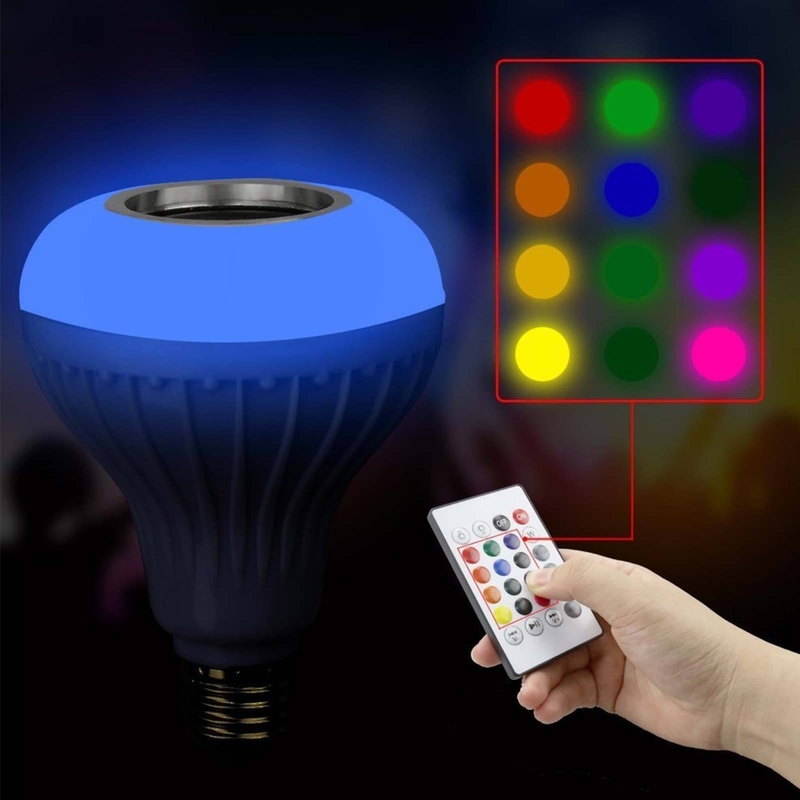 The bulb is lighten up, then you can use the remote control to adjust the light color and modes you like. 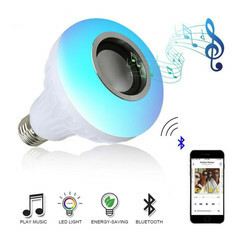 Turn on your Bluetooth device(your phone or tablet), search bulb’s Bluetooth and connect it. 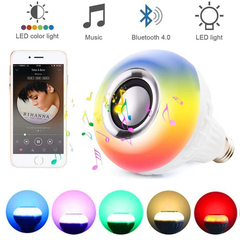 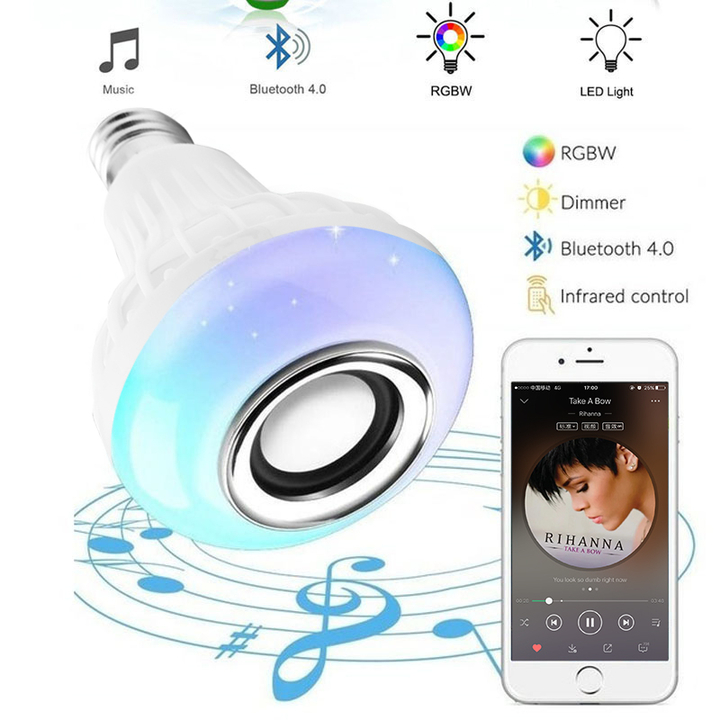 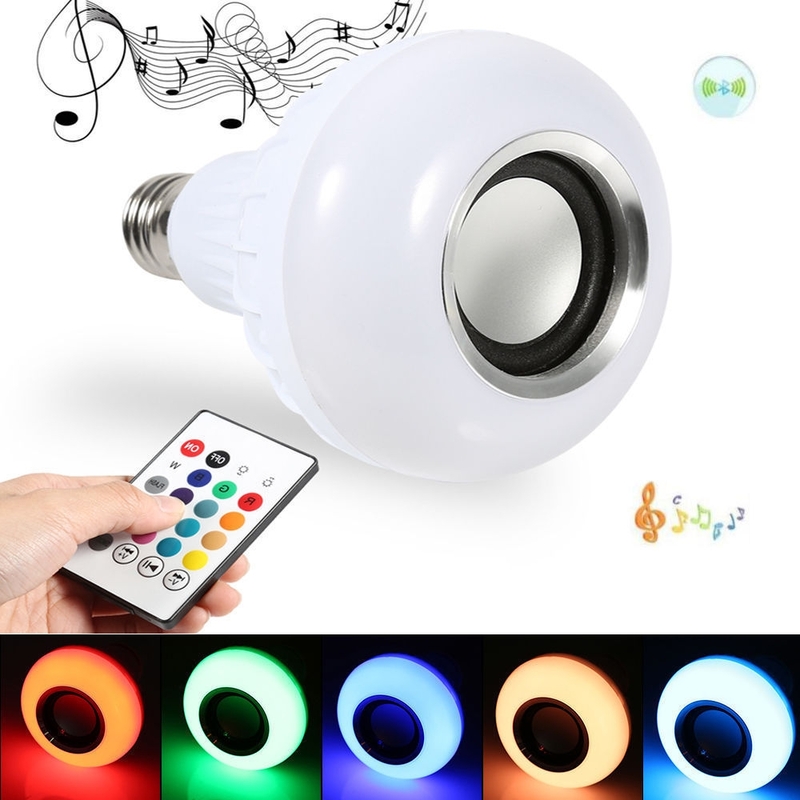 After connecting successfully, you can play the music you like with the bulb.